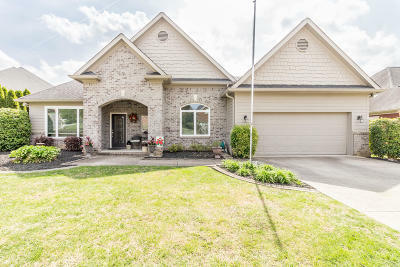 Welcome to this charming three bedroom two bath home in the sought after Hidden Lakes subdivision in Ooltewah Tennessee. Hidden Lakes subdivision has sidewalks throughout for nice long walks, two charming ponds, one with the fishing dock and a lovely path around it, and a neighborhood pool. It is close to many stores, restaurants and outdoor spaces. The home boasts high ceilings, large windows which let in lots of light, a wonderful open floor plan and a lovely wooded view out of the many back windows. you will enter the house through a charming front porch with enough space to sit and wave at your neighbors as they walk by. Through the front door you will find a large open room with high ceilings, and plenty of space for a nice living room and dining room. There is a bonus niche to the ri Forward through a lovely wide opening with simple pillars you will find the kitchen which has been updated with new granite countertops, sink and stainless appliances (refrigerator not included). A special bonus is a beautiful brand new double oven which can be remotely controlled from a photo app. There is a wonderful walk in pantry and lots and lots of storage. In the same room with the kitchen is a Large area which can be used as a den, big breakfast room, or utilized in many other ways to suit your personal taste. 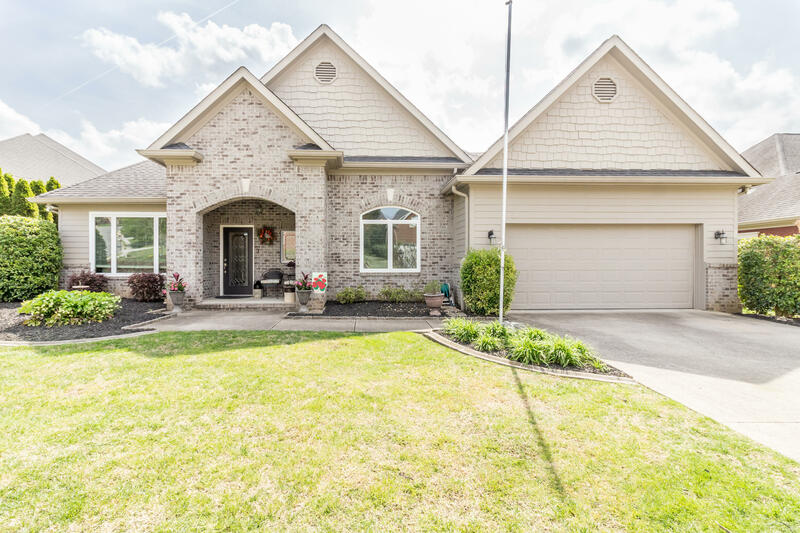 View your beautiful open level backyard and scenic wooded view through the stunning large picture window at the sink, large window and glass doors going into the sunroom and wall-to-wall windows in the sunroom. You will be tempted to stay in the sunroom and enjoy the view, but head on back to the master bedroom which is a nice sized room with its own gorgeous windows, walk in closet, and freshly done en suite, Including a new granite shower with glass surround, gorgeous white cabinets with beautiful light granite top and double sinks. And don't forget the comfortable, deep jetted tub! As you leave the master bedroom and head down the hall, you will notice a very large linen closet to your left Followed by the middle bedroom which is currently set up as an office. This room also has its own large windows. Across the hall is the guest bath with a walk in shower And brand new light and granite countertop. The laundry room and enter to the garage is to the left from the hallway and at the end of the hallway is the second nice sized guest bedroom With a beautiful double window and arched transom above. The front yard has several established flower beds which can be planted to create quite the show place, and the backyard is large and flat and has plenty of room to create your own outdoor living space, possibly a pool or play area. Come take a look at this lovely home today!